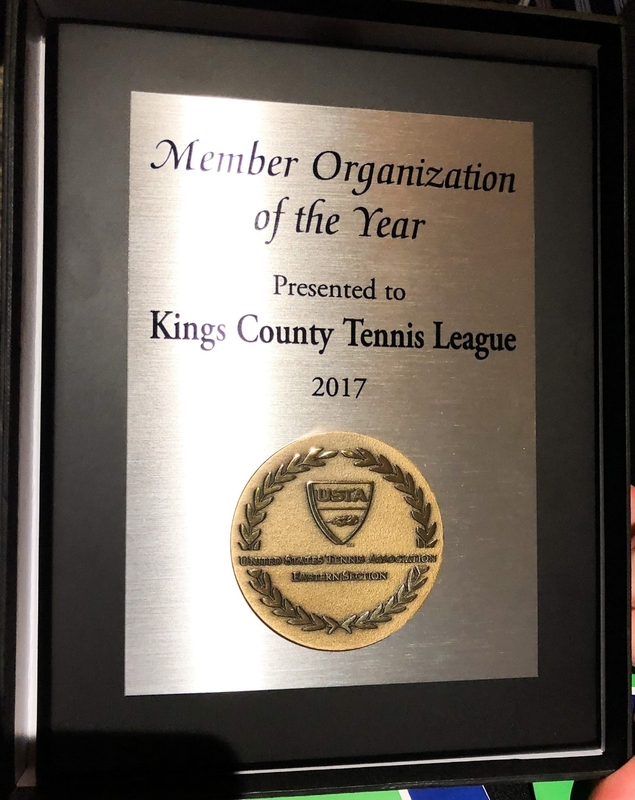 While honoring KCTL for this award, USTA Eastern referenced many of the historic feats our organization accomplished in 2017, including but not limited to completing our restoration project of the Sumner Houses Court, creating two youth-sized tennis courts at the Tompkins Houses Courtyard, and finishing our first full year of tennis programming, which includes fall, winter, and summer seasons. This was all completed while continuing to effectively serve the over 150 students in Bedford Stuyvesant that participate in our programming. Receiving this award from USTA Eastern serves as a great boost to KCTL as we head full bore into our Indoor Winter Tennis Program which starts this Saturday, February 3, at Pratt Institute. We look forward to seeing everyone on the courts soon, and to continue to build upon all we accomplished in 2017!